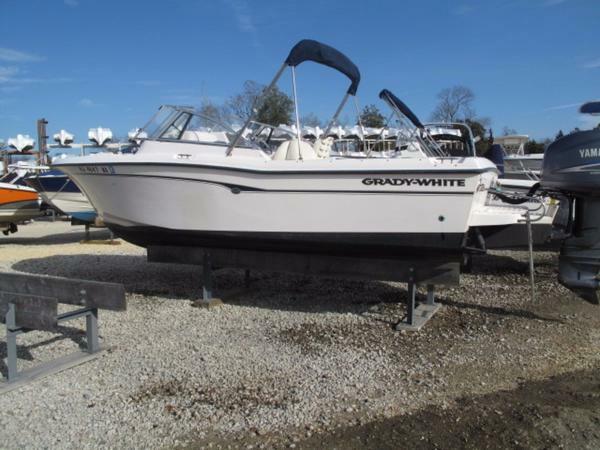 2003 Grady-White Tournament 225 2003 Grady White 225 Classic Grady dual console in great shape with 620hours. 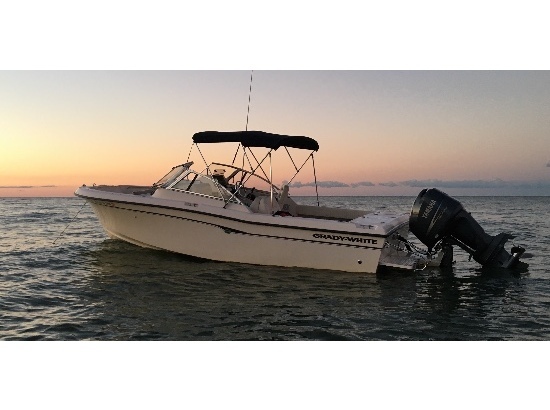 Options include a bimini top, raw water washdown, marine head, Raymarine A70D FF/GPS, ICOM VHF, livewell and bow filler cushion. Includes dual axle trailer. 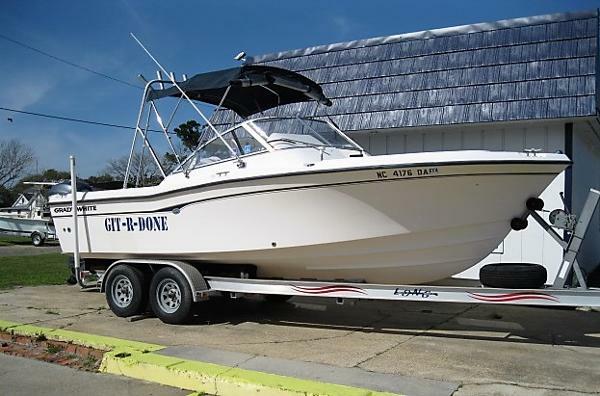 2005 Grady-White Tournament 225 Your Optimal Fun Boat For All-Clean Gain freedom and fun aboard this dual console special Grady-White. This layout is popular for good reason. 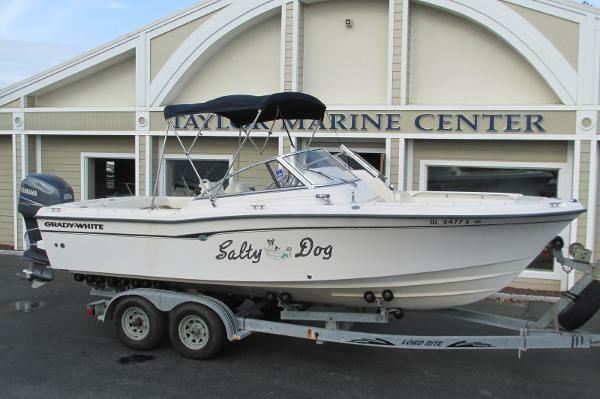 From fishing to the beach, picnics and tubing, this boat does it all. Lots of seating, enclosed head, bimini top with enclosure. 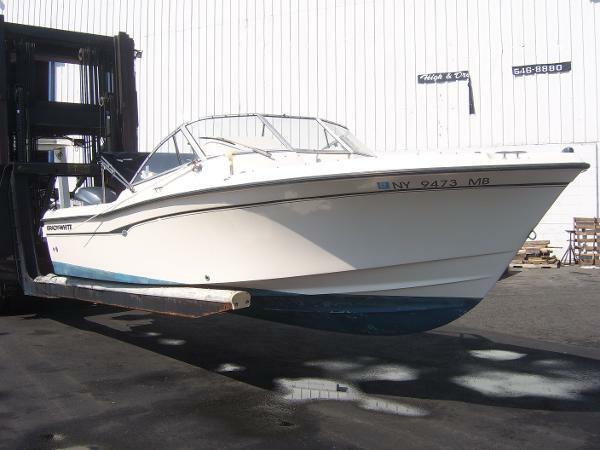 A truly comfortable, dry ride and reliable Yamaha F225 with 450 hours. 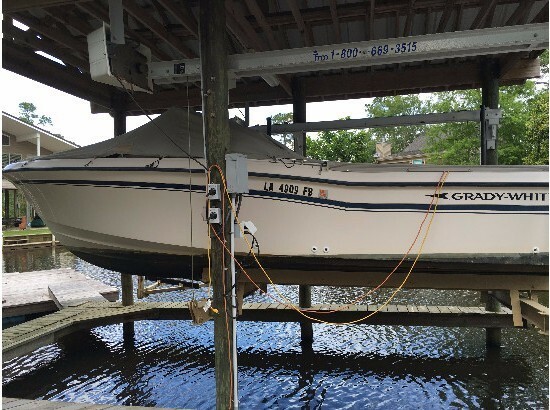 Garmin 188C GPS/sounder, ICOM vhf, vista top with side curtains, aft and drop curtains, bow cover, full mooring cover, dual batteries, cockpit bolsters, porto-potti, port sleeper lounge, Kenwood stereo, sun platform with cushion insert, raw washdown. Always serviced by the professionals at Al Grover's and STORED INDOORS since 2012. She has bottom paint from 2012. One scratch in the hull along port side, otherwise she is beautiful. Get your OFFER ACCEPTED.Premium dockage available.